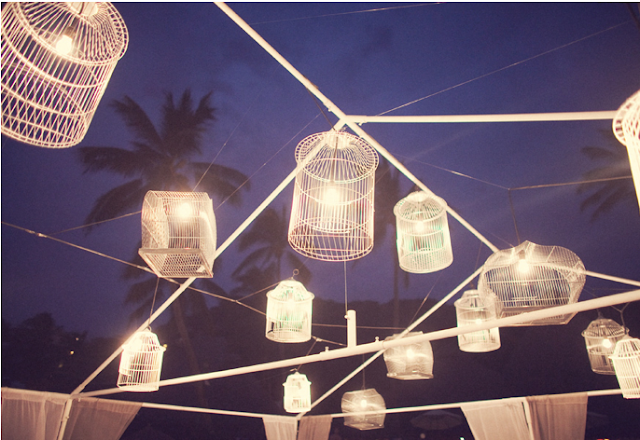 With Sarah Seven bridesmaid dresses and vintage birdcage lighting, this wedding in Sayulita quickly flew to the top of my favorite list. Loveee how whimsical and fun weddings can be today, still traditional, still glamorous but with an excellent touch of personality! so gorgeous!!! the grey and yellow looks so beautiful together!!!! Great color scheme, I really like the gray and yellow. loving the personal details and this couple's sense of humor! beautiful wedding. Love the Sarah Seven bridesmaid dresses!! THE PINEAPPLE PIC! i die. 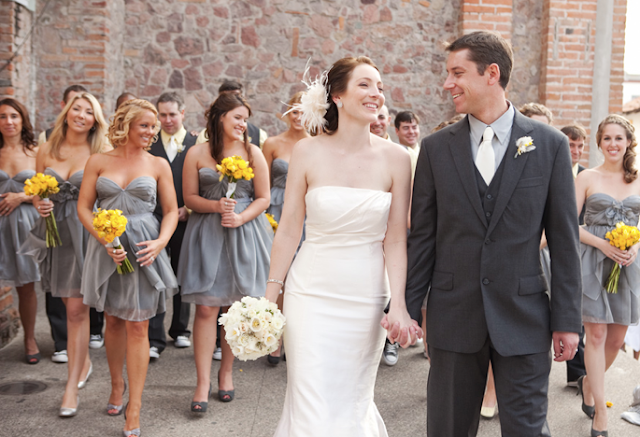 We LOVED coordinating and designing Jess and Paul's Puerto Vallarta wedding!!! They are an amazing couple . 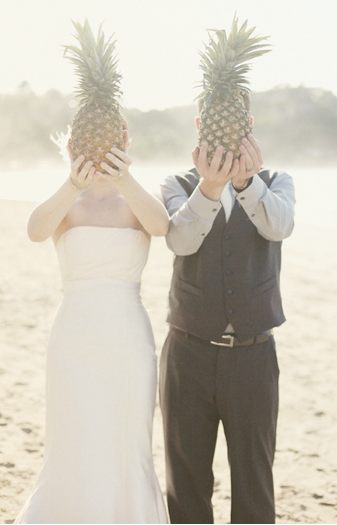 . . obviously, anyone who is game to be a Pineapple-Head is clearly super cool! 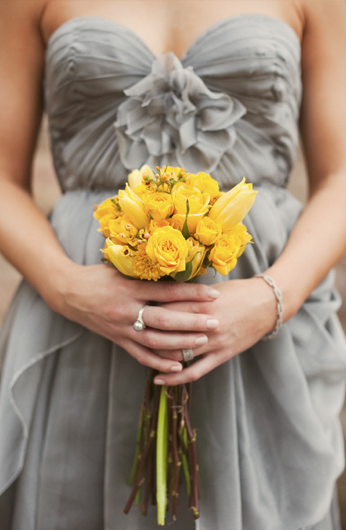 Love the gray and yellow color combination. This is a lovely post - thank you for the inspiration! Where is the grey dress with the flower in the middle from? 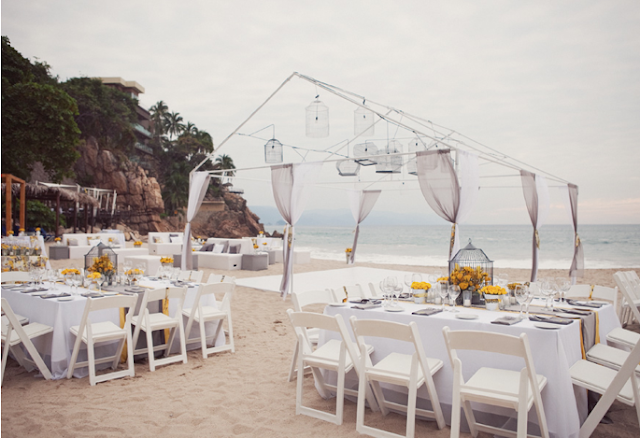 This would be perfect for my best friend's wedding!! !